Got the Owl City / Carly Jae Jepson stems, so thought I’d use the acapella to dance up the track a little and mashed it with Alexandra Stan. Hope you like!! Cheers. DJ Flashard – Owl City ft Carly Rae Jepson vs Alexandra Stan – Get The Good Time Back. Mixed using Owl City Ft Carly Rae Jepson – Good Time (Acapella) and Alexandra Stan – Get Back (Instrumental). This one came together quite quickly and I’ve entered it into the latest MashStix mashup challenge. Had to pitch shift the Perry vocals a little to match the key of the mental, but hopefully it still sounds true to the original. As always, comments welcome. Cheers! DJ Flashard – Katy Perry vs Lenny Kravitz – Wide Away. Mixed using Katy Perry – Wide Awake (Acapella) and Lenny Kravitz – Fly Away (Instrumental). Had this one mixed for a little while, but was waiting on the release of the SoundUnsound 80’s Mashed 2 Compilation Album (which it’s included on) – check it out at the link below. This mash is exclusively available on the album for download, so why not enjoy the whole thing! Anyway, hope you enjoy!! Cheers. 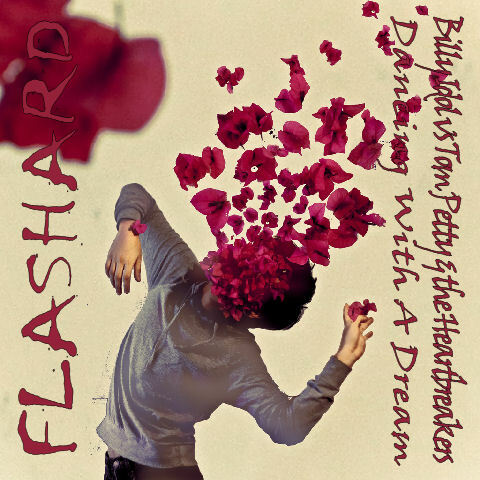 DJ Flashard – Billy Idol vs Tom Petty & The Heartbreakers – Dancing With A Dream.